The stereotypical superhero typically wears an elaborate costume, has superhuman physical abilities, and fights to protect humankind. But, what about everyday superheroes that fight for mankind by preserving culture? Smithsonian created a superhero-themed campaign to highlight the institution’s important work. The nine-day campaign utilized email and interactive design to take recipients through an experience that allows them to build their own superhero squad. The site uses comic-style graphics to guide users through choosing their own super hero squad. After choosing a loyal sidekick, a secret lair and an inspiring cause, users are presented with their three-person Smithsonian squad. Each squad member has their own video and bio to explain their work at the institution. The campaign’s interactive capabilities and superhero theme showcases each Smithsonian expert’s invaluable knowledge and the need to fight for institutions that protect culture. To view Smithsonian’s full campaign, visit here. Drunk driving is a dangerous decision in any city, state, or country. Irleand’s Road Safety Authority (RSA) collaborated with BBDO Dublin, a creative agency, educate Irish citizens about dangers of drunk driving by using virtual reality (VR). BBDO created a nightmarish experience that takes viewers through drunk driving storylines that lead to tangible consequences. Using Oculus Rift, viewers are transported to different scenarios that lead to the devastating decision to drive intoxicated. Participants are immersed in a new world that starts with the first drink and ends in car accidents, injuries and jail time. To view BBDO and RSA’s full experience, visit here. The final AVA Awards deadline has been postponed to January 24. Enter today. The past decade has ushered a transformation from print to digital for many publications, including brochures, magazines, and newspapers. Annual reports have also forgone the typically pricey publication cost, including colorful covers, die cuts and linen pages, for slick interactive digital productions. 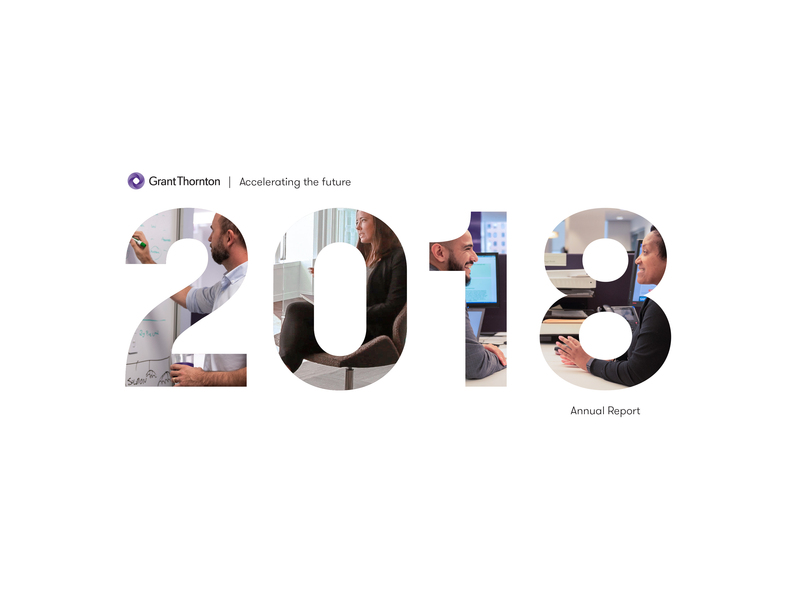 Grant Thornton, a leading independent audit, tax, and advisory firm, created a digital annual report to communicate their 2018 performance highlights. The digital report uses eye-catching graphics and video content to present Grant Thornton’s facts, figures, mission statements, and goals. The site’s user-friendly structure navigates easily with a smooth flow from one subject to the next. To view Grant Thornton’s full annual report site, visit here. Palm Beach Atlantic University’s Cinema Arts program encourages students to write, produce, shoot, edit, direct and act in their own short films. These films capture each of the student filmmaker’s unique personalities through the storyline, direction, and cinematography. One of Palm Beach Atlantic’s outstanding entries for this year’s competition tells the story of every commitment-phobe’s nightmare. “Alter Falter” revolves around a young man who is left at the altar by his bride-to-be for his best friend. The story follows the ex-groom as he goes through the typical post-break-up pains: running into your ex, getting back into dating, becoming a priest (… not so typical) and eventually moving on. The stellar production quality and storytelling present an insightful and humorous outlook on a typically depressing event. Altar Falter from PBA Films on Vimeo. Content Creatures, a London based branded content agency and animation studio, prides itself of putting the “emotion into motion.” The agency recently worked with Wyelands Bank to create a commercial highlighting the bank’s services. Content Creatures created an animated commercial to spread the word that a trustworthy bank is integral to later successes. Instead of using a text-heavy format highlighting Wyelands Bank’s key facts and figures, the agency told the story of different interlocking businesses through animation. The commercial takes the more mundane aspects of banking, such as commercial loans, and presents them in a more personal light. Content Creatures‘ talent for storytelling conveyed the intimate nature of banking, and how banking shapes our futures. WYELANDS-BRAND-FILM-MASTER from Content Creatures on Vimeo. The deadline for the 2019 AVA Awards is today. Don’t forget to enter. What’s the best way to reach millennials? Through their favorite influencer, of course. Market research shows that 60 percent of millennials have no savings. Stash, a financial services platform, recognized millennials aren’t considering their financial futures and set out to spread the message that saving for retirement isn’t boring. So, Stash featured Baddie Winkle, the Internet’s coolest grandma, in a series about living your best life in retirement. With 3.8 million Instagram followers and her signature larger-than-life style, she was the perfect person to amplify the message of a long life is a fun life when you prepare for retirement. Stash and Baddie’s collaboration made a major splash, generating 7.3 million impressions, 2.2 million engagements and 23,000 new Stash accounts. The campaign’s overwhelming success shows the importance of who delivers a message to an audience. The 2019 AVA Digital Awards deadline is December 13. Enter ASAP. If you live in the middle of the Australian Outback, what the options for your children’s education? If they go away to school, how do you keep in touch? A broadband service has just the answer. Told through the eyes of Zara, one of four siblings, the story of the family centers on their rural cattle ranch. The cinematography frames the words and emotions of a charming preteen and her family. The cinematography is so exceptional that the message would be easily delivered even without narration. Golden hour photography, drone shots, and captured intimate moments all blend together to deliver the audience to the Star of Hope Ranch where a broadband service preserves a way of life while expanding horizons. To view Chambers’ full video, visit here. Star of Hope – nbn from Brand Expression on Vimeo. The deadline for the 2019 AVA Awards is December 13. Enter today. Each year the AVA judges choose a handful of stand-out entrants to feature on the AMCP blog. To start this year’s AVA spotlight series, the judges chose an entry that utilizes interactivity to educate viewers about a significant topic. Washington Post’s branded content team, WP BrandStudio, collaborated with Optum to create an insightful online experience that dives deep into the opioid epidemic. The interactive content guides viewers through content divided into an introduction, four chapters and a conclusion. Each chapter of the content delves into a key factor of the opioid crisis using interactive audio, video and graphics. The experience begins by explaining how opioids affect the human body, then continues onto how the crisis affect law enforcement, medical personnel and patients in recovery. The experience finishes with forward-looking insights from Optum. To view WP BrandStudio’s full experience with Optum, visit here. The 2018 AVA Digital Awards are in full swing and accepting entries. Send in your best digital work today. The 2019 AVA Digital Awards are now open! The 2019 AVA Digital Awards are open and accepting entries! Yep, 2019 is right even though we’re still in 2018. Enter your best digital projects by December 13 and you’ll receive your results by mid-January. To enter, go to the AVA Awards site and log into your existing AVA account or register a new account. From there, entering is quick and easy. Just pick an entry title, choose a category and upload any URLs or files you’d like considered. What kind of work do you recognize? We recognize innovative industry work. AVA Digital boasts more than 200 categories devoted to all things digital – social media, websites, videos, digital marketing and more. If there isn’t a specific category that represents a project, AVA offers the option to write in a new category of the entrant’s liking. AVA receives work from organizations of all sizes and industries, including freelancers. To see examples of past winning work, visit the AVA Digital Awards winner’s list. AVA Digital Awards judges will also feature stand-out entries throughout the competition on the AMCP blog and the AVA Twitter, Facebook and Instagram accounts. AVA Digital Awards single entries are $110 and campaign entries are $175. Campaign entries are comprised of multiple pieces of media for one project, while single entries typically only have one attachment reviewed. To recognize the generosity of creative professionals, AMCP does not charge paid entrants for pro bono entries. AVA Digital Awards is administered and judged by the Association of Marketing and Communication Professionals (AMCP). AMCP has provided third-party recognition to industry leaders for more than 20 years, making the AVA Digital Awards one of the most highly-regarded digital competitions in the world. That’s a wrap! All 2018 MarCom Awards entry results have been finalized and posted to entrant accounts. To see your entries results, visit your MarCom Awards My Account page. Each entry will be listed as a Platinum, Gold, Honorable Mention or non-winning entry. All Platinum and Gold winning entries are listed on the MarCom Awards winners’ list. If winners would like to add a project synopsis, credits, clients or change images, they can do so from their My Account page. The last file upload on each entry is what displays on the winner’s page, so to change files, just re-upload the preferred image. Don’t forget to order your 2018 MarCom Awards certificates and statuettes! All certificates, statuettes and graphic downloads are found on the MarCom Awards store. We love to see our winners celebrating, so be sure to tag the MarCom Facebook, Twitter and Instagram pages in your win announcements, certificate and statuette photos.